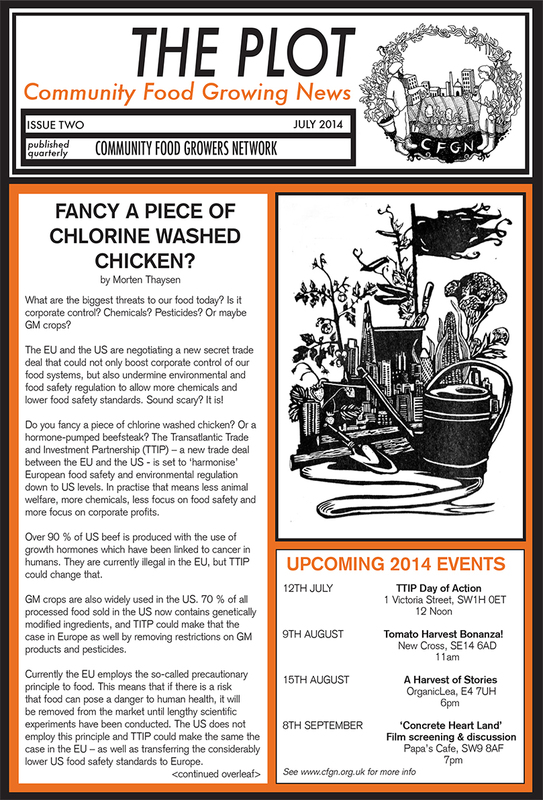 The Community Food Growers Network will be printing the third issue of ‘The Plot’ newsletter collating community food-growing articles, news, and artwork at the end of January 2015. Top tips for the new growing season? Thoughts on the future of community food growing in the city? Please send pieces and ideas through to cfgn@riseup.net by midnight on the 11th of January 2015. Due to size constraints of the newsletter please keep articles to 500 words, with the potential for an extended piece for the website. We are also interested in re-publishing existing articles. 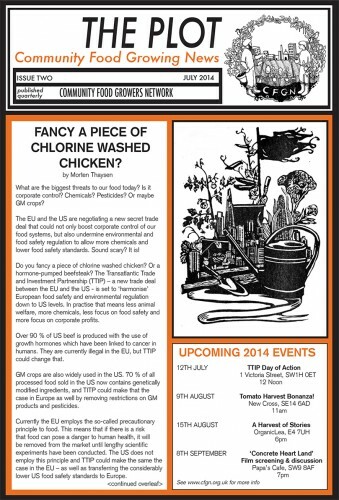 TTIP- fancy a piece of chlorine-washed chicken? Looking forward to hearing your news!